The Short and the Sweet of It: 12 Beauty Products You Must Try. 12 Beauty Products You Must Try. Isn't getting a new beauty product like one of the best things ever? Whenever I get a new facial wash, I make sure that it takes me like ten minutes to wash my face. And hand cream? Oh I put it on just five minutes ago? Oh well...time to reapply! 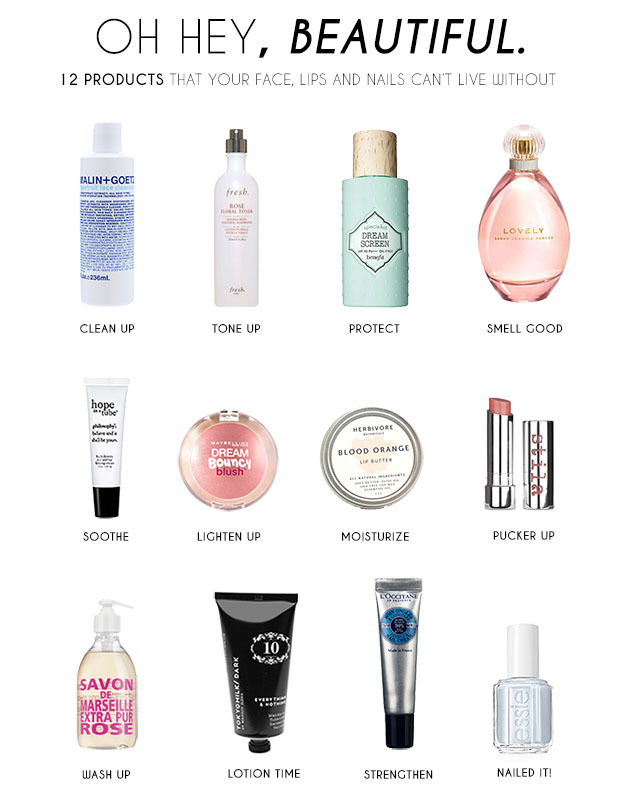 Above is a roundup of some favorite products that you will definitely want to add to your beauty regime! I always love getting new beauty products. Face wash and perfume are the ones I get the most excited about though. I go a little overboard with them haha! Getting new beauty products is something that never gets tired. I want to try that Rose hand soap. The packaging is so pretty! I am so glad you reviewed Lovely because I've always wondered about that perfume. Definitely going to try out some of these, but I especially love the nail polish color! So fun and springy!! I've always wondered about Tokyo Milk...do you like it? Their packaging is gorgeous! oh, i'll just go ahead and take one of each please!